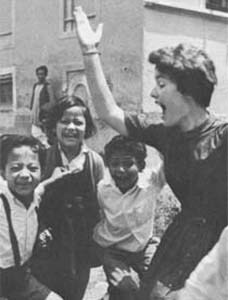 Peace Corps Online: April 6, 2005: Headlines: Advertising: Businesswire: BBDO wins EFFIE Awards for Peace Corps: Life is Calling. How Far Will You Go? April 6, 2005: Headlines: Advertising: Businesswire: BBDO wins EFFIE Awards for Peace Corps: Life is Calling. How Far Will You Go? 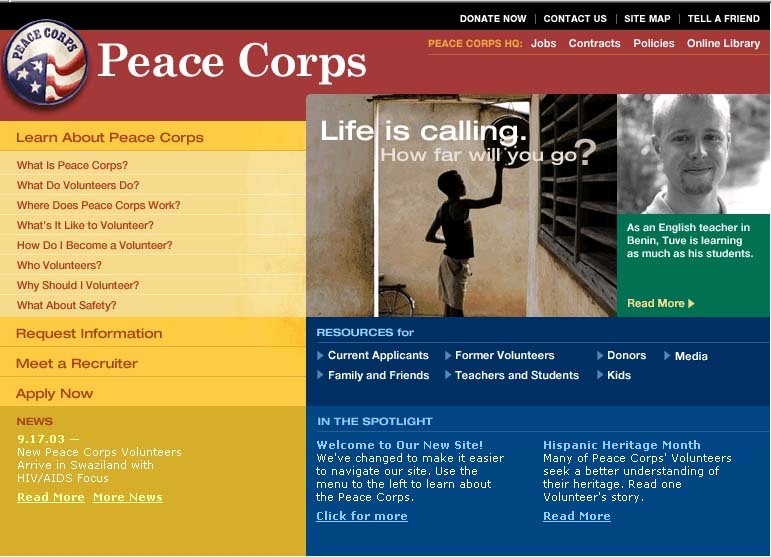 Peace Corps Online: Peace Corps News: Peace Corps Library: Advertising: January 23, 2005: Index: PCOL Exclusive: Advertising : April 6, 2005: Headlines: Advertising: Businesswire: BBDO wins EFFIE Awards for Peace Corps: Life is Calling. How Far Will You Go? BBDO wins EFFIE Awards for Peace Corps: Life is Calling. How Far Will You Go? Ranking second place, agency BBDO landed eight EFFIEs for a variety of effective brand campaigns including Campbell's Soup at Hand, Guinness, Orbit, GE, Snickers, Pepsi Vanilla, Masterfood's Cesar and the Peace Corps. Runner-up agencies include Fallon and Ogilvy & Mather, who tied with seven wins respectively, and TBWA\Chiat Day, which landed six awards. The EFFIE awards, now in their 37th year, will be held on June 7 at the Marriott Marquis in New York. Introduced by the New York American Marketing Association in 1968, the EFFIE Awards program is the only national competition that judges advertising and marketing effectiveness. It has since become recognized by agencies and advertisers as the pre-eminent award in the advertising industry. EFFIE Awards are now given in 30 countries worldwide. For more details, visit www.effie.org.